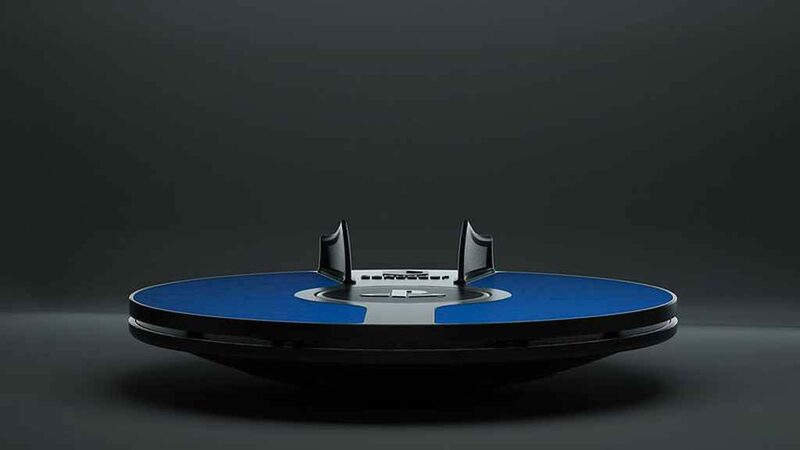 Update 05/04/2019 @ 13:30 – The company behind the 3dRudder Motion Controller has announced that it will be arriving on PSVR on the 17th June 2019. Priced at £119, the new PSVR peripheral will be compatible with 25 games at launch, including Bow to Blood, Red Matter, and Ultrawings VR. Pre-orders are open now on the official website, and be sure to read our original article and deep-dive feature for more info. Original article 29/01/2018 @ 21:49 – 3dRudder, a motion-control peripheral that’s currently available for PC, is coming to PlayStation VR. Currently used for virtual-reality games and experiences like Fallout 4 VR, Arizona Sunshine and Star Citizen, its developers are hoping that PlayStation VR games will also make use of its motion controller. 3dRudder is used during seated VR experiences. It’s essentially a foot-powered joystick that gives you the feeling of movement, whether that be walking, running, swimming or flying. This foot motion controller means that your hands are free so they can move more naturally when interacting with virtual reality experiences. “You’re in control. And since moving with the feet is deeply wired in your brain -not superficially like for your hands, forcing you to spend energy thinking your movement with sticks or teleportation-, it becomes seconds nature. You can play for a longer period of times without fatigue,” says the developer. The 3dRudder is currently compatible with Oculus Rift, HTC Vive and OSVR, but a release for PlayStation VR is coming in 2018 by Q3. Which PSVR games it will be used with are currently unknown, but it’s going to be interesting to test it out to find out whether it adds anything to the virtual reality experience. The only other PlayStation VR peripheral currently available is the PlayStation AIM controller for shooters, though only a few PlayStation VR AIM compatible games make use of it. Sony says that 2018 will be a big year for PlayStation VR games. Currently there are 150 PS VR titles in the making, that’s 80% more than 2017. If you’re still wondering whether to pick up PSVR, or can’t decide what games to buy, check out our guide on the 40 PlayStation VR games that should be in your virtual reality radar.